Spring is well in the air. The birds are chirping, the daffodils are blooming, the skies are clearing and the nights are starting to smell like barbeques. Which only means one thing - it's time to clean out your wardrobe and make way for the start of summer with a closet declutter. But there’s more to a good ol’ declutter that Maire Kondo would be proud of - it’s about what we do with our clothes afterwards that matters. Reaching peak consumption, in the UK alone we throw away 300,000 tonnes of clothing every year and we’re still continuing to buy more fast fashion than ever. Thankfully, TRAID is one charity that is helping to break this cycle by simplifying the process of clothes recycling. 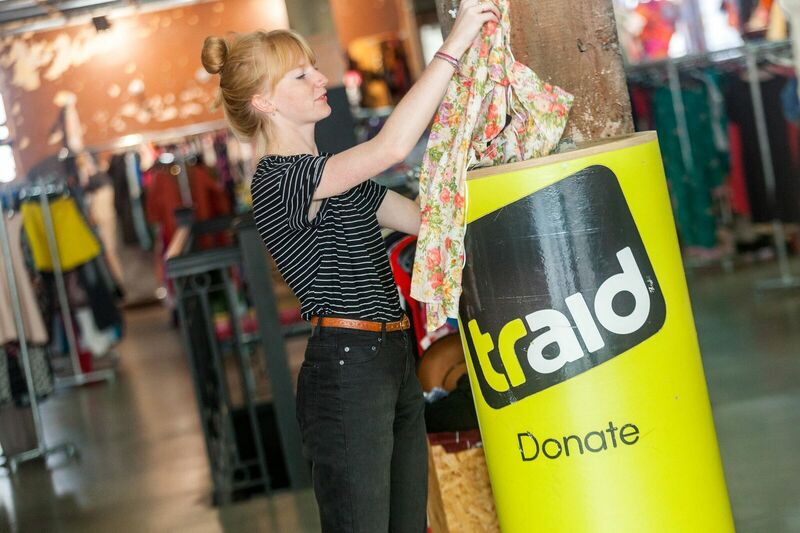 With a free home collection scheme in London and donation points around the UK, TRAID is working to extend the the life of the clothes we already have by reselling them and using the proceeds to fund programmes to support international development. 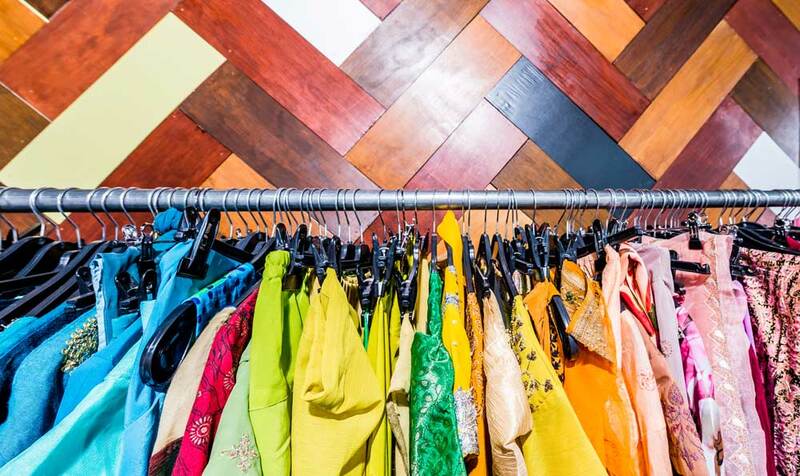 Speaking to TRAID’s Head of Communications Leigh Mcalea, we share her top tips on what to do with your old clothes in our starter guide on how to clean out your wardrobe - sustainably. Follow these six simple rules to simplify the process of the wardrobe spring clean and eliminate any stress in the making. Think of it as a cleanse, but without the juicing. Although this will likely (and alarmingly) take up all your floor space, we can't properly emphasize the value of getting everything out where you can see it. That means pulling out the contents of drawers, stacked piles, any clothes hanging out of sight in your closet and anything that may have slipped into dark corners. With this all-encompassing view, you'll be able to immediately see how much stuff you have and you can start being ruthless. If you're waffling, toss it. Don't just throw things out. Now you have everything out in front of you, separate unwanted clothing into four piles: keep, mend/clean and donate. Keep any items that you have worn and enjoyed wearing in the past year. Mend/clean clothes should include anything that you’d like to keep that need repair work or an annual trip to the dry cleaner. Donate clothes that don't have much resale value (like that last-minute buy from Topshop in 2006). Hangers, boxes and baskets are your friends. Put the clothes and shoes you use and wear regularly within reach and store seasonal/rarely used items up high or out of sight (under a bed or in another room). It's also worth organizing clothing by category, such as by grouping items together (trousers, jeans, casual shirts, then T-shirts, etc...), however, the logic of how you organize is really down to personal preference, for instance sorting by colour can be just as effective too. It’s easy to ignore random tasks like dry cleaning and mending, but since it’s your spring cleaning day, make an effort to close the loop by getting your garments and accessories to the right place. Take shoes to the cobbler for new soles and a polish, get the sleeves of that spring coat shortened and dry clean jackets before tucking them into winter storage. This annual up-keep will mean that well-worn items will be kept looking good and will last longer. Your donate pile should include anything that doesn't fit you or items you haven’t worn in more than a year (special occasion items excluded). 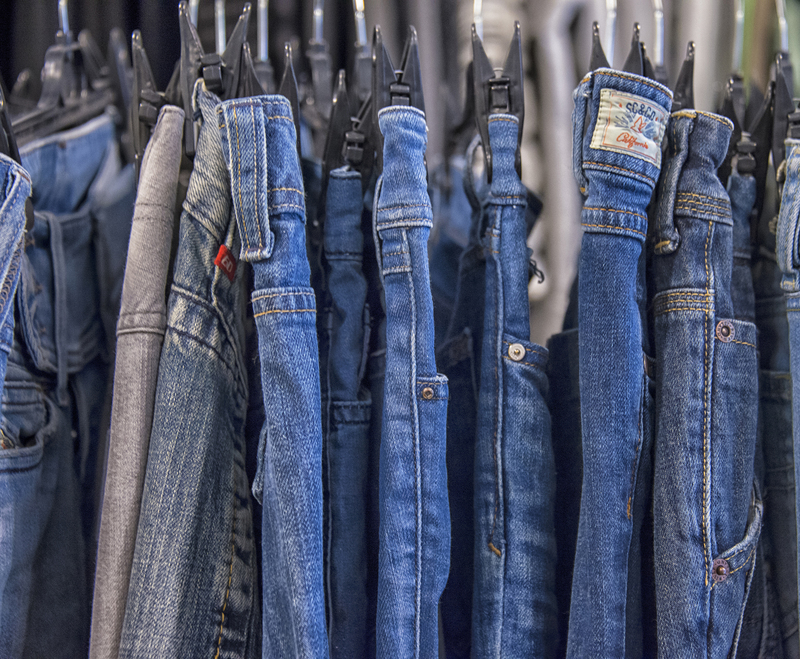 Charities like TRAID make it easy for the public to give away unwanted clothes, you simply need to locate one of the charity’s many shops or head to one of its national network of reuse banks. Or if that all seems to much effort, TRAID also offers a free home or office collection that will come straight to your door. No excuses. Now you’ve talked the talk; it’s time to shop the walk. One of the factors contributing to terrible labor conditions is paying insanely cheap prices for throwaway clothes. Instead, do as the French do, and build a wardrobe of classic staples that will last for years. We’re not necessarily saying that anything under £300 is unethical, It just means shopping more thoughtfully. Instead of buying five cheap dresses that fall apart by the end of their first night out, why not get one beautiful £150 dress you can wear often for years. If you also choose to shop new, Leigh recommends “supporting brands that are committed to sustainable production and improved transparency in their supply chains”. Brands like Mara Hoffman, Reformation and Veja all offer on-trend collections with a clear conscience. And of course, there’s the option of shopping second hand, at stores and charities like TRAID (who also have an ebay shop in you’re not in London), while online brands like Vestiaire Collective also offer trés affordable vintage items. To stay more informed with the realities of the fashion industry check out guides such as TRAID’s Wearing Poverty Out and follow them on Facebook, Twitter and Instagram to keep updated with charity shop sales, events, project work and more.